Centrestage’s Box office modules enable your staff to access all shows, process multiple transactions for multiple patrons, accumulate transactions in the same basket and pay using a variety of methods including a fully integrated credit card routine. When the show/performance is selected the seating plan will appear. Each plan has a zoom in facility. Seats may be selected either by clicking individually or by use of the feature to select a block, row or selection of seats. Any number of seats from any number of shows and performances across any number of venues may be held. The patrons are then identified by the standard search by wildcard ‘forename/surname’ and the more detail that is entered the closer the search unit will be. Address changes may be entered on the ‘fly’. Our software is designed with the end user’s functional requirements in mind ensuring that it is straightforward, fast and easy to use. CentreStage’s Bookings module replaces the need for manual booking sheets and ensures that bookings can be taken quickly and easily while also providing vast reporting capabilities as a by product of each transaction. Difficulties, which can occur with manual booking sheets, such as limited user information and double bookings, are eradicated. Each seating plan is designed pictorially to your specification. CentreStage is TOTALLY flexible and includes the ability for you to create your own seating plans. Each seat will reflect pricing policies and privileges and enables Box Office staff to serve customers quickly and efficiently. Once the seat is selected and the customer’s details entered they can either pay immediately (by cash, cheque, credit/debit card with integrated Chip and Pin technology, loyalty points, credit note, voucher or complimentary) or ‘credit’ the booking and pay on the date of the show. CentreStage’s Bookings module ensures that bookings can be taken quickly and easily while also providing vast reporting capabilities as a by product of each transaction. Bookings and payments can be taken rapidly ensuring a faster throughput at the Point of Sale and customer care is optimised. Difficulties, which can occur with manual booking sheets, such as limited user information and double bookings, are eradicated. Each bookable area, whether a seating plan or an individual room, is designed pictorially to your specification. If your facility has areas that differ in content on certain days, such as a Dance Studio with classes that start at various times on different days or halls that open and close earlier at weekends than during the week – then CentreStage is TOTALLY flexible to meet those needs. Your facility can have different plans or screens for everyday of the week and these will be AUTOMATICALLY generated everyday for your advanced booking period. 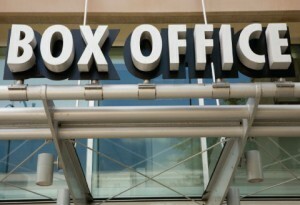 Each bookable area and activity booking will reflect pricing policies, patron access and privileges and enables Box Office staff to serve customers quickly and efficiently. Once the seat is selected and the customer’s patron card (if available) is swiped then, depending on the customer’s privileges, they can either pay immediately (by cash, cheque, credit/debit card with integrated Chip and Pin technology, loyalty points, credit note, voucher or complimentary) or ‘credit’ the booking and pay at the time of the show. The sale of Patron/memberships is one of your most important income streams and a good user database is a valuable management tool, allowing you to analyse a wide range of information about your users, and produce reports to help when developing performance programmes as well as when planning target marketing campaigns. As patron/membership category creation is so flexible it is important to ensure that selling them is a straightforward process too. CentreStage’s Sales module effortlessly steers the operator through a series of simple windows culminating in the creation of the patron/membership number, receipt and, if necessary, a patron/membership card. 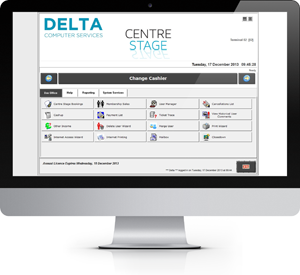 CentreStage’s card creation routine is integrated into the patron/membership Sales module allowing Box Office staff to capture their details during either creation, renewal, or, in the event of the Box Office being too busy, the user’s next visit to the venue . Either way the creation of a patron/membership card increases access security and can prevent. Patron/Membership cards can be created (user details and picture printed and card encoded onto pre-printed site specific or corporate card) via the card printer routine. Alternatively cards can be pre-printed, pre-numbered and pre-encoded and can then be given out as that membership number is generated. All CentreStage’s payment modules can be integrated with a Chip and Pin solution allowing your staff to accept payments by credit debit card without the need to re-swipe cards through a separate PDQ machine – thus providing a speedier service to the customer. In conjunction with our software partner, Verifone, a user defined ‘local floor limit’ can be set so that transactions under this value are authorised locally, with higher value transactions being authorised by an automated call to the relevant acquirer. Our e-bookings solution is a browser based e-government compliant ‘real time’ internet seat booking module allowing users to book (and pay if required with a direct link to your chosen payment portal) ‘online’ any time of day or night (this availability is configured by you) and enhancing your service provision. The flexible configuration routine allows you to dictate which areas/seating plans are available on-line, limit the number of bookings a user can make in a single transaction, as well as the amount of time a booking is locked (i.e. in the ‘shopping basket’) before it is automatically deleted. Users are initially requested to either ‘sign in’ or ‘register’. Analysis of booking trends is simple allowing you to make informed marketing decisions and alter the activity configuration accordingly. Patron/Membership Registration & Renewals Sales are also available on-line together with the provision of on-line courses and payments to enable you to further enhance your flexible service.